What Is the Major Difference Between Thalassemia & Sickle Cell Anemia? Cranberry juice, often used as a preventive measure against urinary tract infections, is generally safe when consumed in normal quantities, according to the National Center for Complementary and Alternative Medicine, a division of the National Institutes of Health. However, consuming large quantities of cranberry juice may produce some side effects, and taking it in conjunction with certain medications may cause drug interactions. Most are not dangerous or life-threatening. Drinking large quantities of cranberry juice may cause upset stomach and diarrhea. Cranberry juice has a high sugar content, so if you have diabetes or glucose intolerance you should avoid excessive sugar intake by choosing sugar-free cranberry juice. Cranberry juice can contribute to increased risk of developing kidney stones. Cranberry juice contains high levels of chemicals, called oxalate, that are associated with the formation of certain types of kidney stones. If you have a history of kidney stones, you may be especially susceptible to increased risk and should consult a doctor before drinking large quantities of cranberry juice. 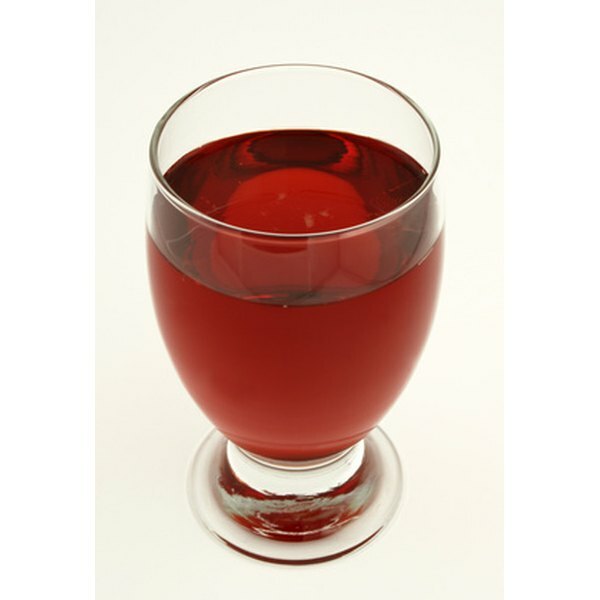 Cranberry juice may interact with blood thinners, such as warfarin, to cause excessive bleeding. Although some controversy exists over the studies conducted on this interaction, the Food and Drug Administration’s Medication Guide for Warfarin Sodium Tablets instructs patients to “avoid drinking cranberry juice or eating cranberry products” while taking the medication. Medications that affect the liver may also negatively interact with cranberry juice. If you have an allergy or hypersensitivity to the Vaccinium species of berries, which includes cranberries, you should not drink cranberry juice. You should also avoid cranberry juice if you are allergic to aspirin.